Roy E. Barsness is a Professor at The Seattle School of Theology and Psychology, the Brookhaven Institute for Psychoanalysis and Christian Theology, and the Relational Psychoanalysis and Psychotherapy Group, Seattle. He was formally the Clinical Director at Seattle Pacific University and a Clinical Associate Professor at the University of Washington School of Medicine, Department of Psychiatry. He has been in independent practice for over 25 years. 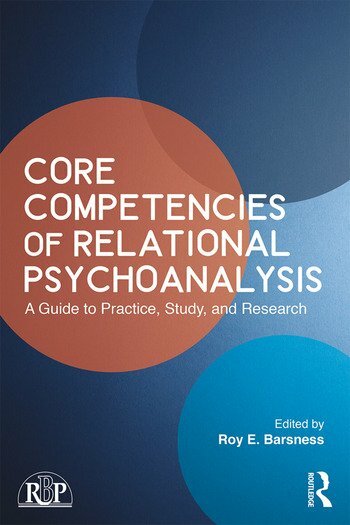 "Roy Barsness and his co-authors have undertaken the difficult task of presenting a text of Core Competencies in Relational Psychoanalysis to guide younger and more experienced therapists to an integration of theory and practice. The authors outstanding success lies in their skilled address of the challenge in Relational Psychoanalysis to offer an approach that is flexibly attuned to the individuality of each patient/analyst dyad while practiced with a disciplined intent, form, and rhythm. The what and how to do is presented in seven competencies with a coda on love – all becoming enlivened for the reader by clinical narratives. A difficult task well mastered. "-Joseph D. Lichtenberg, M.D., Director Emeritus of The Institute of Contemporary Psychotherapy and Psychoanalysis, author of Craft & Spirit, Editor-in-Chief of the Psychoanalytic Inquiry Book Series.